I was so flattered to be photographed by Ellen Dahl Lawson for Thursday's Style Star page in the Star Tribune. You can see the story in print or online, or read the full interview below. Shoes and makeup are her splurges. Seen at: The Minneapolis Institute of Art's Third Thursday. Where would you like to see a fashion show? The Minneapolis Central Library has three floors overlooking a long, beautiful hallway that would be perfect for a runway. What are you wearing? Vintage skirt, belt and scarf, top from J. Crew, necklace by local designer Bionic Unicorn, Dolce Vita clogs. Describe your style: 1970s meets 1990s, heavy on the bohemian with a dash of glam. What do you splurge on? Shoes and makeup. What do you buy on the cheap? Most of my clothes. I've gotten really into thrifting lately. 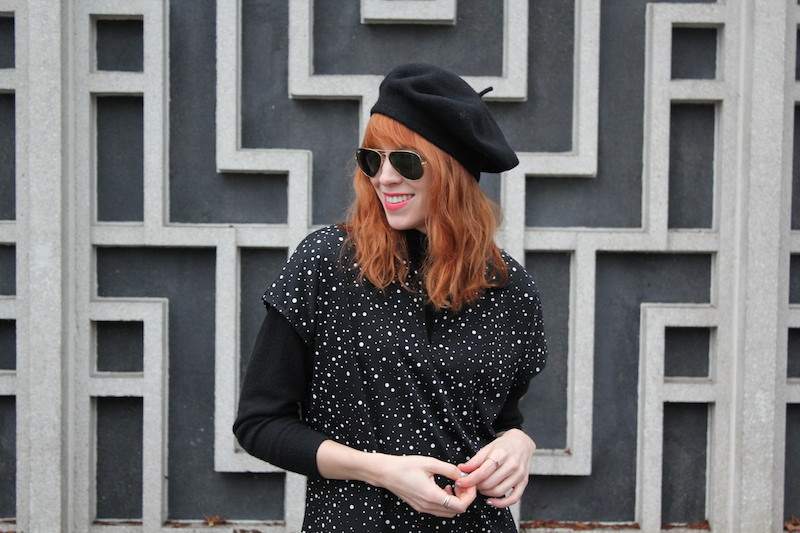 It's so easy to find cute vintage clothes in the Twin Cities. I'll purchase the occasional investment piece, but by and large my wardrobe is fairly inexpensive. What's your holiday outfit? A long patterned skirt, silk blouse, grandpa sweater, tights and loads of chunky jewelry.